City streets and roadways are not designed to provide the best conditions when it comes to safety for cyclists, and many motorists hold absolute disregard for bike riders. Hence, when bike riders and motorists in cities like Hialeah, Homestead, Coral Gables, Davie, or anywhere in Miami-Dade or Broward County, share common spaces, the risk of an accident involving bike riders is extremely high. Before hopping on your bicycle, take a valuable moment to learn the rules and regulations affecting bicycle riders. Many jurisdictions have rules requiring certain safety equipment and precautions for both the riders and those who share the road. 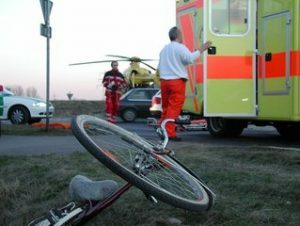 If you, a family member, or loved one has suffered personal injury from a bicycle accident in Miami, Perazzo Law urges you to contact our Miami or North Miami Beach offices ONLINE or CALL (786) LAWS-411 for a FREE initial consultation to discuss your rights for compensation for injuries suffered as a result of an accident involving a bicycle in Miami-Dade or Broward County.